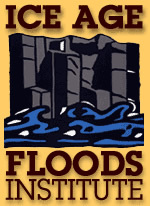 The Ice Age Floods Institute promotes understanding of the huge floods that burst from Glacial Lake Missoula in Montana and swept through the Columbia River drainage in Idaho, Washington and Oregon. Posted in Links and tagged with . RSS 2.0 feed.